At Ace Tax & Financial, we believe stand-alone tax preparation is a thing of the past. That is why in addition to tax preparation we will provide a complete tax review. Our goal is simple…we want to save you money in taxes and help you avoid the pitfalls of unnecessary social security taxation, alternatives to Required Minimum Distributions and manage inflation. Ace Tax & Financial provides complete personal income tax preparation. You will meet with a tax professional who constantly keeps current on tax codes, will find every last tax deduction available, and prepare and file your taxes. 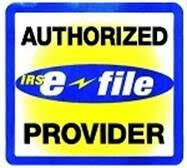 Our office is an authorized IRS e - file provider. Upon your approval, we will also provide you with a no obligation tax review to help educate you on ways to protect your assets, save money in taxes, and possible retirement strategies to provide you with a guaranteed income stream in retirement.